This Irish Christening outfit has an inverted pleat on each leg that gives this coverall a handsomely distinguished look. 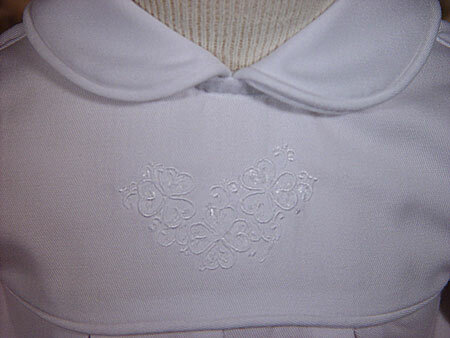 Embroidered shamrock cluster on bodice. 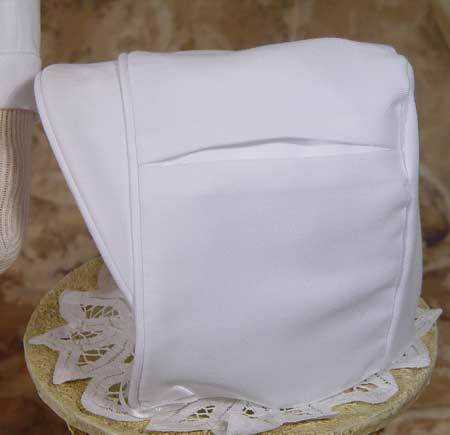 Made of the softest gabardine fabric, the simple styling provides luxurious comfort. Polyester/Rayon blend. Machine wash. Shipped with elegant padded hanger and zippered vinyl bag. Heirloom Preservation Bag recommended for long-term storage.